Periodontal disease is a bacterial infection that gradually destroys gum tissue before moving on to weaken and damage the supporting bone tissue underneath your gums. Millions of bacteria live naturally in the human mouth. The trouble begins when these bacteria, which accumulate in plaque—that clear, sticky film that forms on our teeth all day every day—are not cleared away regularly. Daily brushing and flossing, as well as regular dental checkups with the Philadelphia dentist are key to combatting this buildup. In your mouth, gingivitis—the beginning stage of periodontal disease—is recognizable by red and swollen gums that may bleed when your brush. If not treated, then gingivitis goes on to become periodontitis. This advanced stage of gum disease causes enlarged gum pockets to form around your teeth. These pockets can fill with infection that eventually break down gums, connective tissue and bone. In fact, periodontitis is the leading cause of tooth loss among adults in the United States. 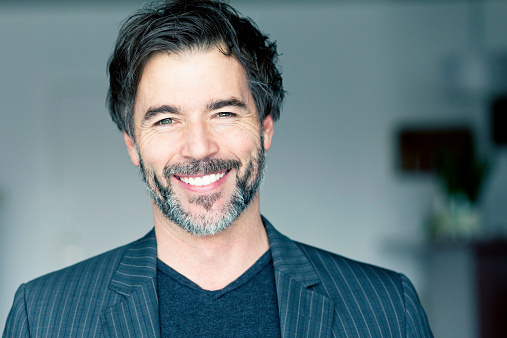 Dr. Horsham and his team offer cutting-edge periodontal therapy with a soft-tissue laser. With this treatment, Dr. Horsham can remove plaque and tartar (hardened plaque) from above and below the gum line of your teeth. Laser therapy for gum disease is more precise and allows for faster recovery. If you’ve noticed that your gums bleed when you brush or floss, this may be a sign of gum disease, so please don’t delay treatment. Contact the Philadelphia and Horsham dentist to schedule an appointment where Dr. Henkel will assess the health of your gums. We also serve the surrounding areas of Dresher, Springfield and Hatboro, as well as Bucks County and Montgomery County.